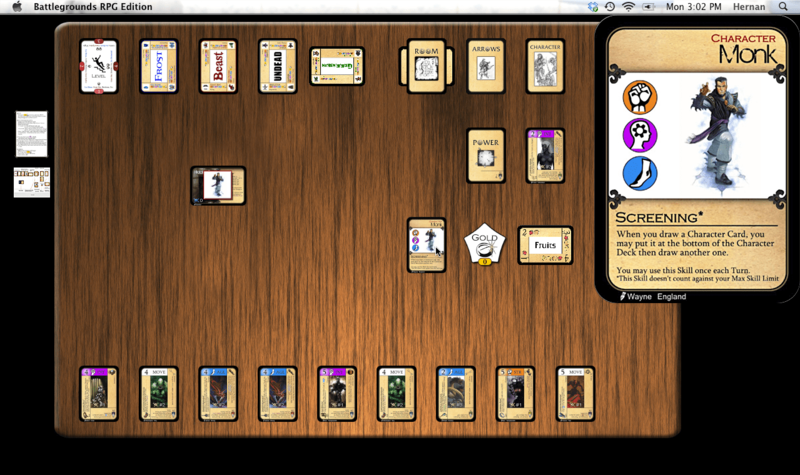 A solitaire dungeon-crawling card game with no bookkeeping and no dice. Just you, the cards, a token and a dungeon to explore! Your mission: Get out of the dungeon alive as rich as you can. And if you are able to, find and bring back the Amulet of Deugor!! 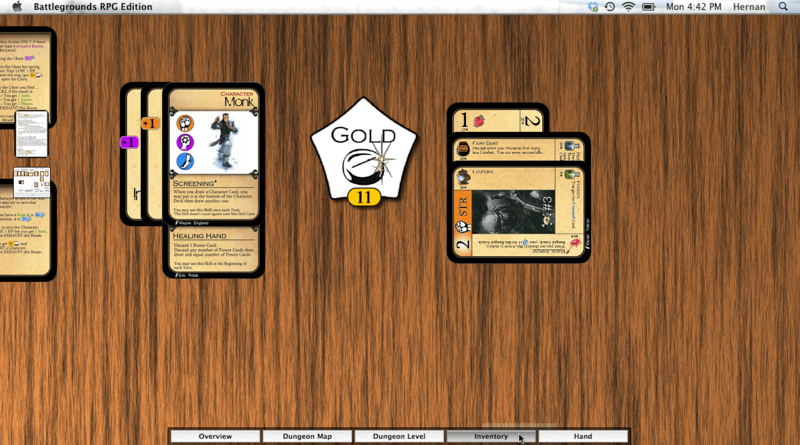 This is a BGE digital game conversion of the free print-and-play “Dungeon of D” card game, by Jack Darwid (web-published, 2008). This digital conversion for use with BGE is being released with permission from the game’s designer. The above download contains everything needed to play the game if you already have a Gamer Client license (BGE v1.5 or higher). Here are some screenshots of what the game looks like in Battlegrounds (the pics were actually taken in BRPG, but look the same in BGE). For more information about this game conversion, look here.